I was back at the Olympic Club in San Francisco bright and early on Friday morning, to catch day two of the 2012 US Open Championship. 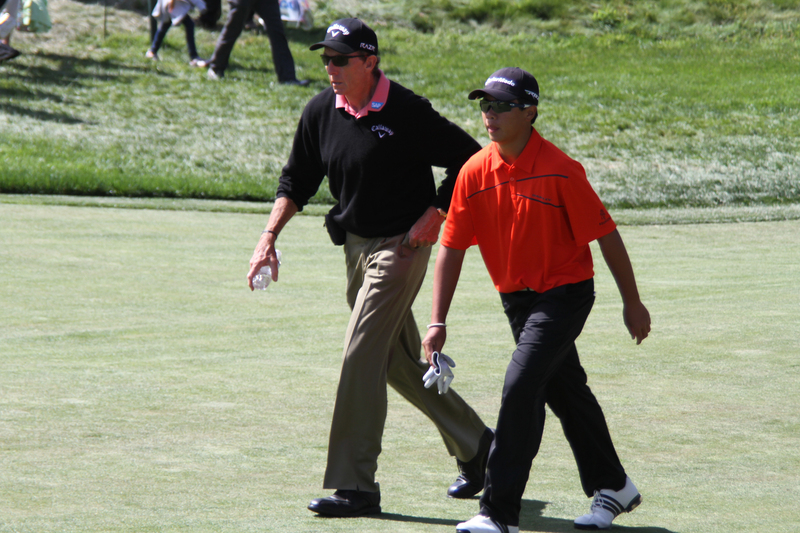 It was a great day, with Tiger clawing to take the lead and Phil Mickelson making the cut by the skin of his teeth. Unfortunately, cameras are not allowed during regular tournament play, so all the photos here are from Wednesday’s practice day. Today (Saturday) I stayed home to watch the action from my living room sofa, and it was fun to just relax and let The Golf Channel do all the work. I had the best seat in the house. Watching at home can be stressful, though. With TV cameras at every hole, the action is fast paced, and rather un-golf-like. There’s an awful lot of talking and analysis, drowning out the dulcet sounds of birds chirping and the breeze in the cypress trees. Still, viewers don’t miss a thing. And so it occurs to me that attending a golf tournament is a great exercise in patience for someone like me, who does not possess that particular virtue in abundance. I have to accept that I can’t be everywhere, to see all my favorite players’ triumphs and collapses. I’ll hear the crowd roar and know something big is happening elsewhere. I really hate that I’m missing something, but there’s not a thing I can do about it. Or maybe I’ll spend 20 minutes slinking and slithering my way into a great spot to see Tiger or Rory tee off… only to have a Marshall, or professional photographer with a $15,000 lens that I covet, step directly in front of me at the last second, blocking my previously-awesome view. I have no choice but to roll with it. In the sunshine, green grass and Pacific breezes at the Olympic Club, there’s nothing to fret about. I have a DVR, after all. They were invented to combat such dilemmas. And so I’ll be setting mine to record tomorrow, for the final day of play, so that I’ll know what all the cheering was about! I had no idea who this handsome man was when I saw him on the practice green on Wednesday, but for obvious reasons I decided to photograph him. Many times. I know his name now, though. He’s 23-year-old LSU graduate and 2011 NCAA golf champ John Peterson, and today he hit a hole in one. Also worthy of a shout out is 14-year-old Andy Zhang. 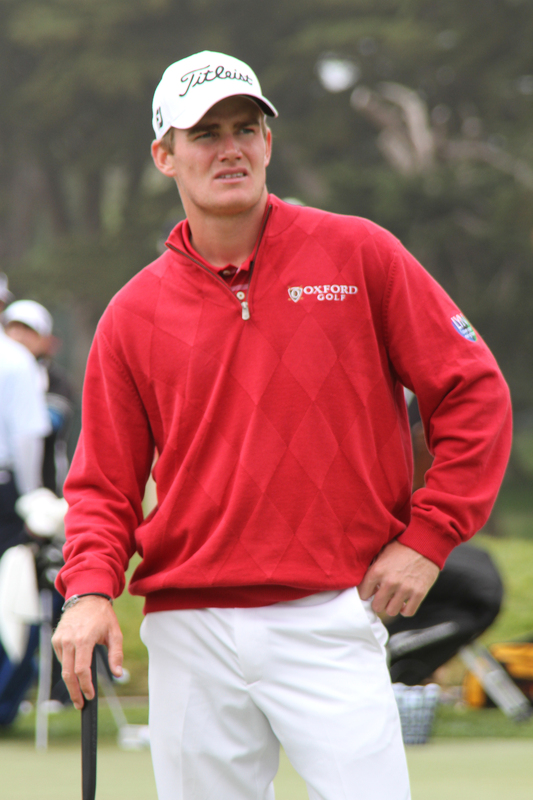 He didn’t make the cut, and today Beau Hossler was the amateur name on everyone’s lips. But hopefully we haven’t seen the last of Andy, because his US Open press conference was pretty endearing. 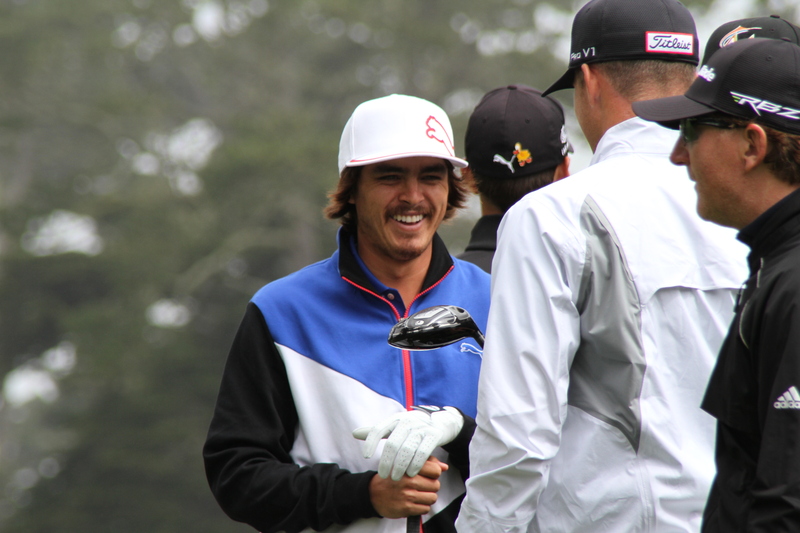 Finally, here’s Rickie Fowler. 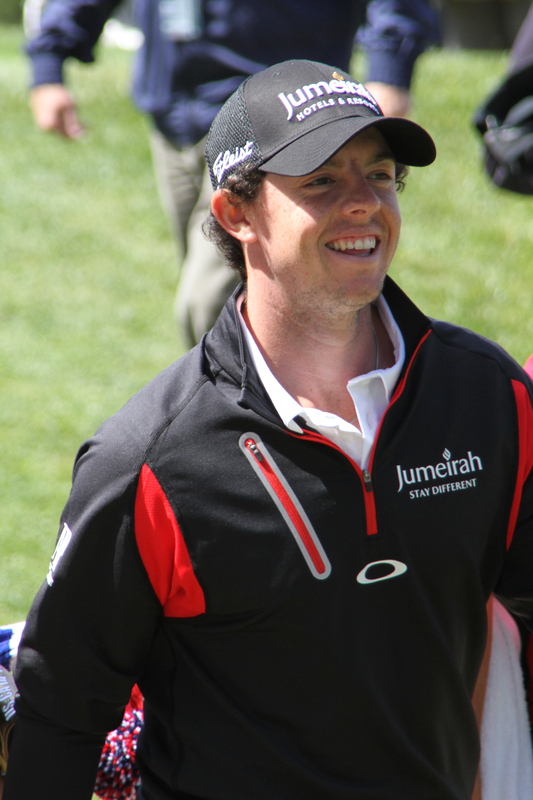 I followed his group for a few holes on Wednesday, and women all around me were swooning. I never completely understood his appeal until I saw him. Now I get it. As a dude, the Ricky Fowler thing confounds me. Great golfer, but that child molester/date rapey mustache is horrendous. How can anyone look past that? Seriously. Agreed, I kept hearing the “young Johnny Depp” references and since I’m not a Depp fan I was unmoved. But in person… I can’t explain it. He tees off just after 11 tomorrow, so I guess I’ll be forced to follow him around, in the name of research. How fortuitous (and foretelling) of you to get a great shot of John Peterson. His hole-in-one celebration seemed so un(pro) golf-like which made it especially enjoyable. More like a touchdown end zone dance. Loved it. Great story!